Vs 11 of today’s Word says: “God hath spoken once: have I heard this; that power belong to the unto God.” It can also read STRENGTH belongs unto God! Job 33: 14 says: “For speaketh once, yea twice, yet man perceiveth it not.” That God speaks ONCE but men cannot hear (understand) Him to h Him. The Holy Spirit wants you to know this: God speaks Of but you must near Him TWICE! The whole Bible is made up of OLD and NEW testaments! So God has spoken ONCE! But hearing Him TWICE means believing t concerning all His works of POWER and WONDER! both testaments! Take Song 1: There’s not a friend. My Father! My Father! Turn my life into Your POWER IN ACTION center in Jesus name. Pray in Tongues now! Release CONFUSION into every EVIL GANG UP against your star! 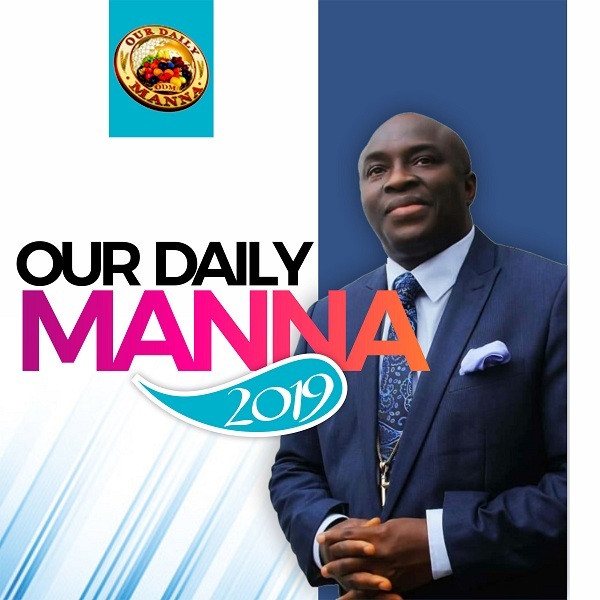 READ Daily Manna Today 10 November 2018 - EVERY TRIUMPH IS A STORY OF REJECTION! 4. Did ever saint find this Friend forsake him? Or sinner find that He would not take him? 5 . Was e’er a gift like the Savior given? Will He refuse us the bliss of heaven? Previous Post:Our Daily Manna 12 April 2019 WORLD PASSOVER NIGHT! I SHALL NOT WEEP! I SHALL NOT FAIL! God has spoken once twice have I heard that power belongs to him. Amen!